Stevens was named a “2017 Hoboken Green Business.” Read the story. The City of Hoboken established a Green Team as part of the Sustainable Jersey Program. The Hoboken Green Team is comprised of community members and City staff who work to advance environmentally sustainable goals and initiatives. 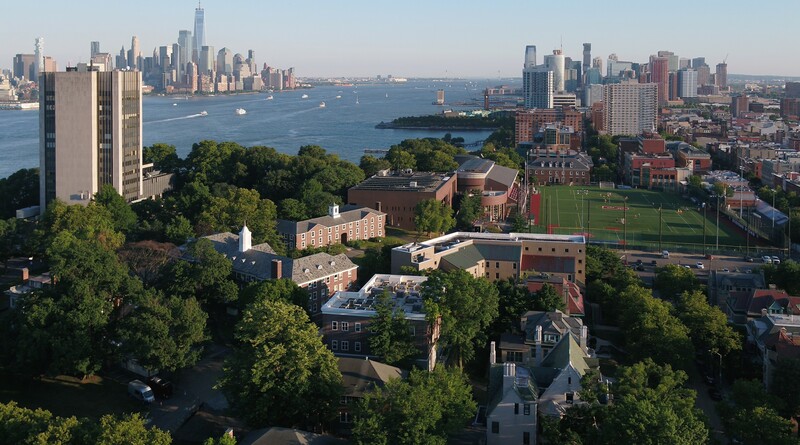 Associate Professor, Dr. Elizabeth Fassman-Beck, Department of Civil, Environmental and Ocean Engineering, is leading the efforts of the collaboration between Stevens Institute of Technology and the City’s Green Team. Sustainable Jersey is a nonprofit organization that provides tools, training and financial incentives to support communities as they pursue sustainability programs. In 2006, Sustainable Jersey began as an informal partnership between faculty and staff from The College of New Jersey, a group of mayors at the New Jersey League of Municipalities as well as the New Jersey Department of Environmental Protection and the New Jersey Board of Public Utilities. After 3 years of developing committees and 13 different task forces, the Sustainable Jersey Program was launched in the winter of 2009. In August 2011, the Hoboken Green Team was founded and joined over 400 other Green Teams within New Jersey. The Green Team strives to go green, save money, and sustain the quality of life over the long term for municipalities. a Hoboken Green Team challenge which encourages community members to eat fresh and buy local.